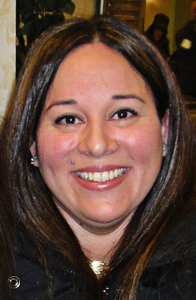 Maria Mercedes Avila, PhD, is the Multicultural Director for the Vermont LEND program, Assistant Professor of Pediatrics at the University of Vermont's College of Medicine, and Adjunct Faculty in the College of Nursing and Health Sciences. Dr. Avila was a VT-LEND Policy Fellow assessing the cultural competency knowledge and skills of Maternal and Child Health providers as well as the organizational readiness and efficacy in serving culturally diverse children and families in the state. Since relocating to Vermont in 2002, Dr. Avila has worked in numerous federal programs (MCH, HRSA, SAMHSA) serving underrepresented populations: refugee and immigrant children and families, individuals with disabilities, and youth and young adults with severe emotional disturbance and other mental health and substance abuse disorders. Dr. Avila holds a PhD in Educational Leadership and Policy Studies and a Graduate Certificate in Interdisciplinary Study of Disabilities from the University of Vermont. Dr. Avila is the 2014 recipient of the Edith D. Hendley award recognizing a graduate woman who has demonstrated excellence in research, scholarship, and teaching, and who has performed dedicated service to women. Dr. Avila has authored cultural and linguistic competence curriculums, grant applications, technical reports, and policy briefs; and was part of the state team that wrote the 2012 Vermont Youth Suicide Prevention Platform: A Public Health Approach to Suicide Prevention. Dr. Avila teaches courses on Racism and Health Disparities and Cultural Competence and Health, and is a member of the Governor's Council for Family and Children Prevention Programs. In addition, Dr. Avila provides consultation on Cultural and Linguistic Competence to the Department of Mental Health's Vermont Child Mental Health Initiative and the Department of Health's Screening Brief Intervention and Referral to Treatment (SBIRT) program. Dr. Avila chairs the Cultural Competence and Health Disparities SBIRT committee and has trained more than 800 health and mental health providers.